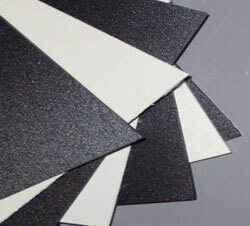 TECAFORM® is a semi-crystalline thermoplastic offering high strength, stiffness and toughness. TECAFORM® is resistant to hot water, hydrocarbons and solvents, and it possesses good bearing and wear properties. It is available in natural and black grades. TECAFORM® is commonly used as bushings, rollers, wear strips and other applications requiring a combination of strength, low moisture absorption, chemical resistance and dimensional stability. TECAFORM® is used in a wide variety of industrial applications requiring good strength and toughness, dimensional stability, wear resistance and the ability to operate in a wet environment with little absorption. Material handling, machinery and fluid handling are some of the common industries utilizing TECAFORM®'s combination of properties. Typical applications are gears, wear strips, bushings, pump parts, fittings and rollers.